ONE OF THE NEWER and less heralded of the offspring of McIntosh is Spencer. Spencer is a cross of McIntosh and Golden Delicious, and it combines the Mac’s tartness, juiciness, and green skin with a rich overlay of red, with the conical shape and some of the sweetness of Golden Delicious. Spencer is crisp and juicy, with greenish-white flesh. Its sweet-tart flavor is excellent for fresh eating, and it is good for pie and sauce as well. Perhaps Spencer is not better known because it does not store as well as some varieties. 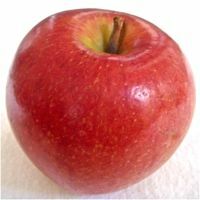 The flavor of some apples improves in storage; others are best eaten fresh. Spencer is an example of the latter. It will be good now through Thanksgiving, but does not retain its characteristic flavor over the winter. Developed in 1926 at the British Columbia Experimental Station, Spencer was released commercially in 1959. We used Spencers in this famous apple recipe from Maureen Cheney of Cheney Orchards in Brimfield, Massachusetts. The recipe won first prize in a National Apple Growers Association (now USApple) contest in the 1950s. The flavor and texture are outstanding. 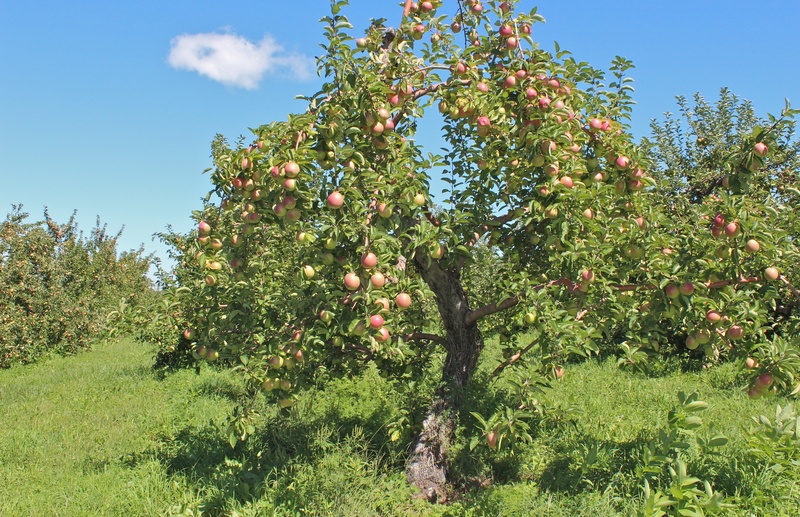 After 90 years, Cheney Orchards closed in 2001, but Maureen’s son, David L. Cheney, has now reopened part of the orchard, working with the Grafton, Massachusetts-based Community Harvest Project. Under the program, volunteers plant and harvest apples to donate to the Worcester County Food Bank. With a few minor modifications, here is Mrs. Cheney’s award-winning recipe. Preheat oven to 350°. Grease 8×8 baking pan. Cut apples into 1/2-inch chunks. In large mixing bowl, cream butter and sugar, then beat in egg. Sift together dry ingredients, and add to egg mixture with apples, nuts, and vanilla. Looking for a good place to go apple-picking this weekend? Click here for a list of the region’s best orchards. I do not have that recipe, but it sounds intriguing! We’ll try to track it down.